Training’s are approximately 60-70 mins long. Training’s are listed above, and volunteers leave at the end of the training if we are closing. You only need to attend one training class. Families are encouraged to participate. There is a form that needs to be filled out at shelter or online at www.thehskmc.com. Kids that are 12 and older can volunteer without an adult present, but their time is limited to 2 hours per visit. 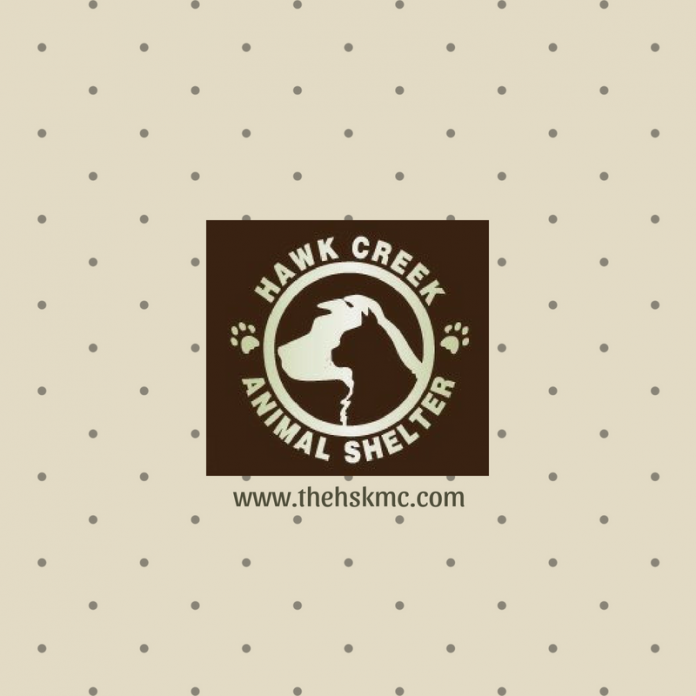 All training’s are held at the Hawk Creek Animal Shelter. You do not need to pre-register. Persons 17 years of age & under must have a parent or guardian sign the form. Children 11 & under need to be accompanied by an adult. PET THERAPY VISITS WE NEED VOLUNTEERS TO HELP WITH HANDLING THE ANIMALS (DOGS & CATS) WHILE RESIDENTS VISIT WITH THEM. Clothing Order Open until March 6th – Go to www.thehskmc.com to order. Shop Chewy.com -New Customers go tohttps://www.chewy.com/rp/4393 and your first purchase will give the shelter a $20 donation! CANCELLATIONS FOLLOW US ON OUR HAWK CREEK ANIMAL SHELTER FACEBOOK PAGE. WE WILL ALSO ANNOUNCE ON KWLM, Q102 OR KLFD. THE SHELTER IS CLOSED ON MONDAYS & MAJOR HOLIDAYS SHELTER HOURS: TUES.-FRI. 12 NOON UNTIL 6:00 P.M. SAT. & SUN. 12 NOON UNTIL 4:00 P.M. Thank you! 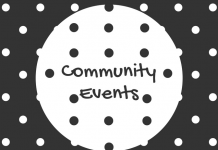 – Save Our Tails committee and attendees to the event. Thank you for helping us get to our goals! We cannot do what we do without you! MNSNAP (MN Spay Neuter Assistance Program) – The 2019 dates for the mobile service to arrive here in Willmar are Jan 7, Mar 4, Jun 10, Aug 5, Oct 14, & Dec 23. Please tell your family, friends, and coworkers about this low cost spay/neuter program. Register animals now as the calendar fill very quickly. You can register online at mnsnap.org or by calling 612-720-8236. Thrivent Financial – If you’re an eligible Thrivent Financial member and have Choice Dollars available to direct, please keep us in mind. To direct Thrivent Choice Dollars, call 800-847-4836 and say “thrivent choice” or click here: http://bit.ly/XJrPZN . Amazon Smile – Do you order through Amazon? Sign up for Amazon Smile and choose Humane Society of Kandiyohi & Meeker Counties as your benefactor. A percentage of your online purchase comes back to the shelter. The shelter also has a wish list on our website and items on Amazon Smile that we use here, you can have it shipped right to the shelter. 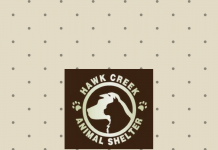 Shelter Clothing – The clothing order will be open until March 6 th 2019, please click https://bakergraphicsinc.tuosystems.com/shopping/1162343 to do some shopping and help support the shelter. Chewy.com – Where Pet Lovers Shop, New account members only, the order must come from clicking the link on our website or https://www.chewy.com/rp/4393. Chewy will send the Hawk Creek $20. Share with anyone who has never enjoyed the ease of using Chewy. Order for dogs, cats, small pets, horses, and more! Pet Vaccine Clinic Coming Soon– April 30th in Willmar and May 7 th in Litchfield. Walk in times are 5:30 to 7pm. More details will follow next month.  Willmar has 2 dog parks! One is over by the Taunton Stadium and West Central Industries. Bring your pooch and have a blast! Second one is at Marie Lingl’s Fancy Coats, east on hwy 12, which also has a very large dog park, with a small membership fee.  Pet of the Week is featured in West Central Tribune, Litchfield Independent Review and Lakes Area Review, watch for who is being featured!  Listen for us every Friday morning at 8:10 on Big Country 100.3 as we bring Pet of the Week on the air. Also hear us on Open Mic the 2nd Wednesday of every month on KWLM Radio at 10 a.m.
 Join Us! If you didn’t know, you can become a member of the Humane Society, consider becoming one today. Easy sign up on our website or stop in! We have several membership levels and the memberships help us provide care to the animals that come into our shelter and run programs that benefit people and animals.  Board of Directors – Full Board meetings are the 4th Thursday of the month; January, February, April, May, July, August, October and November at 5:45p.m. at the Kandiyohi County Historical Society meeting room. For the March, June, September and December meetings, they are held at the Meeker County Court House building in the lower level meeting room at 5:45 p.m.